For a player who in early January was planning to turn down an invitation to the inaugural Augusta National Women’s Amateur, an alteration of plans proved to be history changing. If Westminster resident Jennifer Kupcho hadn’t decided in the end to compete in the ANWA, the event would have a different first champion. And that’s no small matter considering this was the first women’s championship ever conducted at the home of the Masters. To review, Kupcho said in early January that she wasn’t planning on playing in the ANWA, even though she’s the defending NCAA Division I individual champion and is now the No. 1-ranked women’s amateur in the world. She indictated it was because, in deferring accepting her LPGA Tour card until after graduating from Wake Forest, she wanted to focus on her final college golf tournaments and school this semester. But after the team’s schedule underwent some minor tweaking, Kupcho decided to compete at Augusta National Golf Club just before the Masters after all. 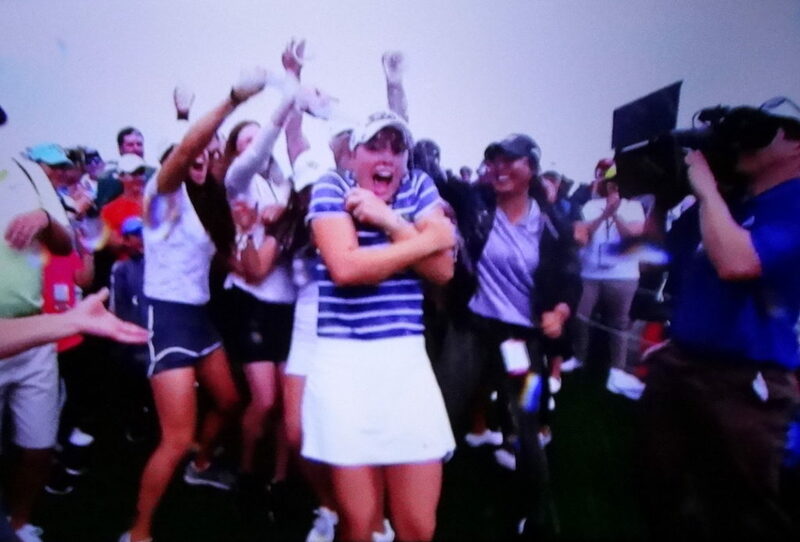 And, as fate would have it, the lifelong Coloradan rallied on the back nine on Saturday to capture the first Augusta National Women’s Amateur title in front of an NBC audience and plenty of attendees at the historic course. Indeed, when asked on Friday if she won where she rank this accomplishment, Kupcho said it would probably be behind her 2018 NCAA individual title. But the 21-year-old’s tune changed after all she experienced on Saturday — the big crowds, the pressure, overcoming a migraine headache mid-round, and a stellar head-to-head matchup with Maria Fassi of Mexico. It also doesn’t hurt when big-time players such as two-time Masters champion Bubba Watson, and World Golf Hall of Famers Annika Sorenstam, Nancy Lopez, Lorena Ochoa and Se Ri Pak are on hand and greet you before and after the round. Plenty of viewers on NBC saw Kupcho’s stellar comeback — along with all the people on hand at Augusta National. Jennifer Kupcho, right, celebrates her victory with her family on Saturday. But perhaps the people who were happiest for Kupcho were her dad, Mike; her mom, Janet; and her older brother Steven, all of whom were in Kupcho’s gallery on Saturday. Steven, the 2012 CGA Les Fowler Player of the Year who has long since turned pro, arrived in Augusta on Friday night. When Jennifer took a one-stroke lead after Thursday’s second round, Steven started looking for flights from Phoenix to Georgia, and he was on his way Thursday evening. He had a stopover in Denver, where he slept for a few hours in the airport, and he arrived in Augusta on Friday night. His presence — along with those of their parents and Jennifer’s Wake Forest teammates — certainly meant a lot to Kupcho during her big day. Steven Kupcho had never before been to Augusta National, so he was one of the first to enter the grounds at 7 a.m. on Saturday. He walked the entire course, mainly by himself, and had breakfast and coffee in the bleachers on Amen Corner. “That was special. That right there made the trip worth it,” he said. “But in the afternoon, the crowd was insane. There had to be 10,000 people there. It was 30 people deep on 18. It was so emotional with the swings of what happened — Jennifer getting the migraine on the eighth hole and having blurry vision for three holes, and battling back once her vision cleared up, hitting some incredible shots. Jennifer Kupcho receives a celebratory dousing after her victory. At the end, Golf Channel arranged for the Kupchos to have a front-row position as Jennifer walked up to the 18th green. 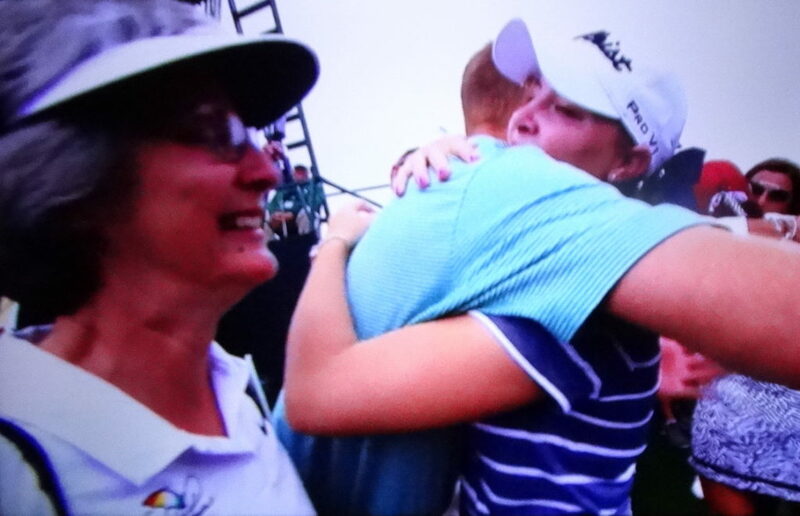 And besides the immediate, historic reward of Jennifer Kupcho being the first champion of the Augusta National Women’s Amateur, the considerable media exposure she received this week will no doubt pay dividends when she goes on the LPGA Tour later this spring. To give you an idea of the interest in the event, Kupcho had tournament-related obligations at Augusta National for more than four hours after her round concluded on Saturday. “Coming into this week, I knew there was going to be a lot of press and a lot of media” she said. “Presenting myself and kind of creating who I am (was important). I don’t think the world really knows who I am as a person so I think to create that for myself this week was a big thing. It took a lot of patience — they’re grabbing you every which way every single minute of every day, so you just have to be patient and accept it and go along for the ride and know that I can sleep this (coming) week.